The venture capital industry, like most investing asset classes, is subject to pendulums of sentiment and emotion. As we are all witnessing, the pendulum of risk tolerance & valuation is swinging violently at the moment. For the past 5 years, the pendulum has been pegged at the far end of the spectrum where investors discounted nearly all risk and, as a result, valuations were irrationally high across all stages. In the past few weeks, that pendulum has swung wildly to the opposite end. I believe that the public markets have over-corrected on tech valuations but that is a topic for another blog. In this blog, I’d like to explore some other pendulums in venture capital that I believe are also in motion at this time. Not surprisingly, these pendulums are all interconnected so it makes sense that they would move somewhat in unison. One pendulum that is clearly tied to the risk and valuation pendulum is the focus by investors on growth versus profitability. For the past 5 years or so, investors have encouraged startups to invest aggressively to drive growth, often without concern for efficiency or unit economics. And it has worked. With cheap capital, we have all witnessed Hype Cycle Growth, where companies raise money, hire aggressively, grow revenue and then raise more money to repeat the cycle. Interestingly, the very same venture capitalists who encouraged companies to grow at all costs are advising startups to cut burn rates and grow more efficiently. 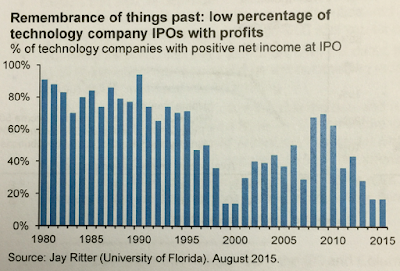 This chart from the Wall Street Journal clearly shows how the pendulum of growth vs. profitability has manifested itself in the public markets for IPOs over the years. Another debate that has gone on for years, especially in Silicon Valley, has been the relative benefits of youth. In the past 10 years, largely driven by the success of a few notable young founders, the pendulum in Silicon Valley has been pegged on the belief that youth is the key to success. And, unfortunately, that older people cannot contribute. There is even the belief that a 45-year-old can no longer practice venture capital. To be sure, young people bring amazing new ideas, perspectives and risk tolerance to the table and have created incredible successes (and will continue to do so). But, as this current hype cycle ends, I believe that the pendulum is swinging back (based on the success of many older members of the silicon valley community) to a more rational position where the contributions of older executives, entrepreneurs and VCs will be increasingly relevant, recognized and respected. I admit that I bring some real bias to this particular debate (and, yes, the age debate as well). Over the past few years, the belief has been increasingly accepted that only those with operating, technical or product experience can be successful venture capitalists. For several years, VCs who were hiring would only consider (usually young and sometimes very junior) product executives coming out of Google, Facebook, Snapchat, etc. Many of those hires will become fantastic venture capitalists, including a couple that I've been lucky enough to work with directly. Of course, many will not. I’ve seen many highly successful operating executives never make the transition to investor. On the other hand, I’ve seen many venture capitalists who didn’t have operating experience rise to the top of the Midas list. All you need to do is look at the backgrounds of Peter Fenton, Bill Gurley, Mike Moritz, Fred Wilson, and countless others to realize that successful venture capitalists can come from a variety of backgrounds. I believe that the pendulum for this has rightly swung back to a point of equilibrium to take this into account. 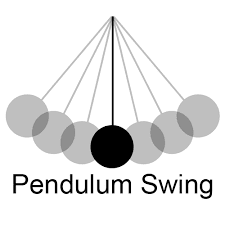 What other pendulums do you think are swinging right now?